Lake Arpi serves as an artificial reservoir. 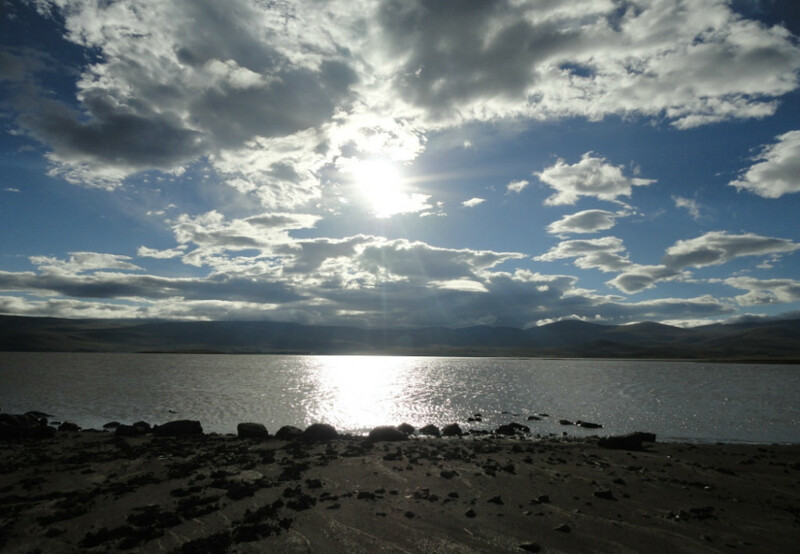 The embankment was built in 1951, turning Arpi into the second largest water reservoir in Armenia after Lake Sevan, with water volumes ranging from 20 to 100 million cubic meters, depending on the weather. The lake gets water from the River Yeghnajour and small streams descending from the mountains. The lake is the source of the Akhuryan River. In this mountainous region, winter starts in October and ends in April-May. People joke that they have two seasons here - eight months of winter and four months of spring. The fish is said to be delicious here, unlike the Akhurian reservoir. Eleven species of fish are registered in Lake Arpi, including trout. There were Azeris living in the surrounding villages in the Soviet era. Lake Arpi was strictly monitored back then: fishing was permitted only with hooks. 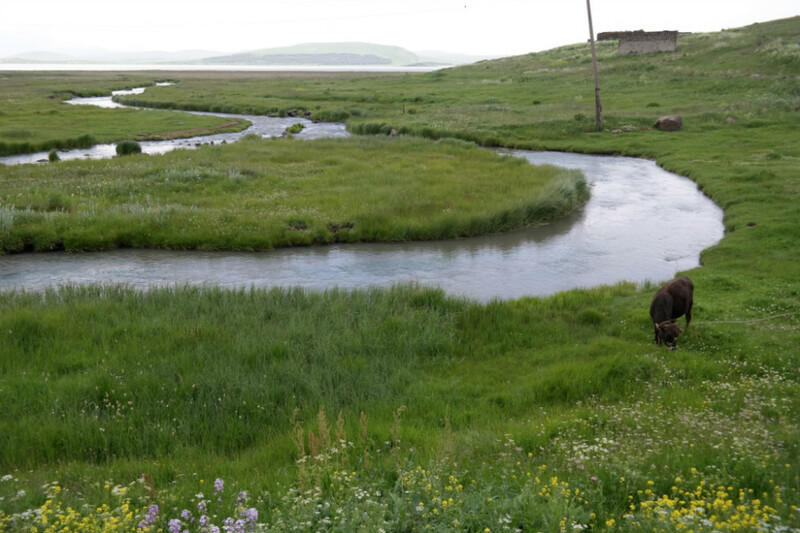 After Armenia’s independence in 1991, the neglected state of the lake had a great impact on its ecosystem. To make the things right again, the government decided to create Lake Arpi National Park (occupying 21,000 hectares) in 2009. There are 670 plants growing in Lake Arpi National Park, of which 19 are included in the Armenian Red Book. Among the plants, there are many decorative ones, such as Caucasian gladiolus, Javakhq gladiolus, netted iris, iris pumila, water-lily, etc. There is pine, populus, juniper and other tree forests around. There are 225 species of vertebrate animals registered in Lake Arpi National Park, including 14 species listed in the International Union for Conservation of Nature (IUCN) Red List of Threatened Species, such as the Eurasian otter, marbled polecat, lesser kestrel, etc. There are three species of amphibians, six species of lizards and four species of snakes, one of which is listed in the Red Book of Armenia and IUCN Red List, 193 species of birds, 32 of which are in the Red Book of Armenia and eleven - in the Red List of IUCN, 38 species of mammals, three of which are in the Red Book of Armenia and two - in the Red List of IUCN. The largest gull colonies in the world are located in the Lake Arpi area, where you can also see rare black storks. 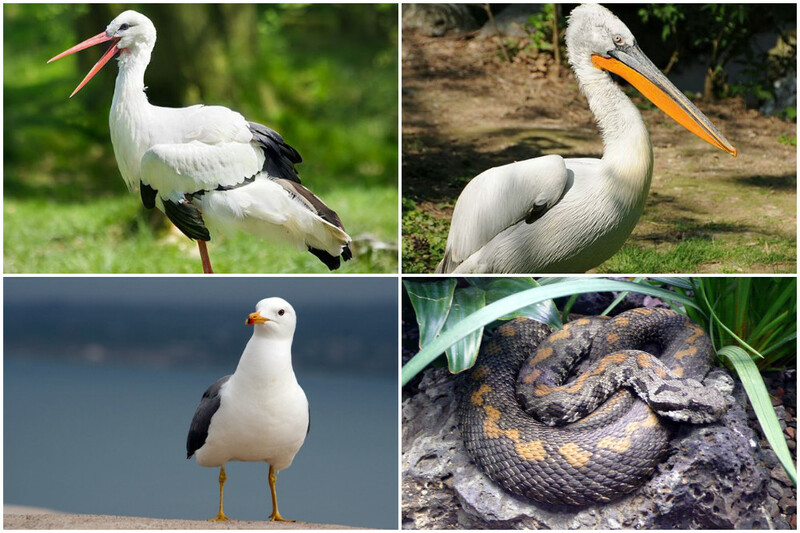 Dalmatian pelicans and Darevsky’s viper can be found nowhere else in Armenia but in Lake Arpi area. Seven species of birds are endangered here, including Dalmatian pelicans. Gray goose, gray crane and Armenian gull are also of special interest. 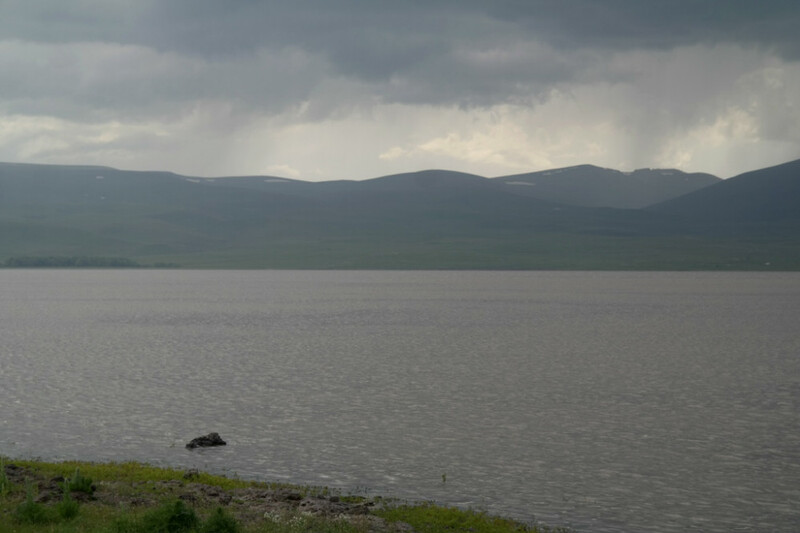 Artak Farzadyan, deputy director of the Lake Arpi National Park, says that illegal fishing in Lake Arpi is worrying. Fishing by unauthorized methods have resulted in the reduction of existing fish species - in quantitative terms and also in size. Farzadyan says that now the park area is strictly controlled.